SL1526 Confocal light micrograph of human fibroblast cells. The cell nuclei, which contain the cells' genetic information, are red. Actin protein filaments, which make up part of the cytoskeleton, are green. The cytoskeleton maintains the cells' shape, allows some cellular mobility and is involved in intracellular transport. 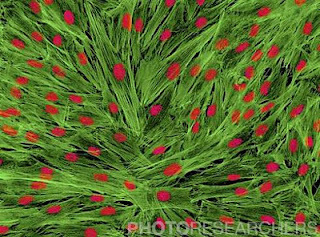 Fibroblasts are cells that give rise to connective tissue such as collagen, the main structural protein in the body. They are important in wound healing. Mag: x850 when printed at 10cm wide. 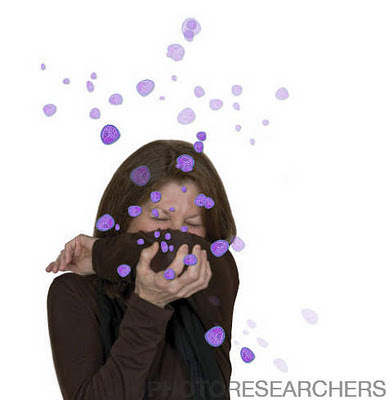 Credit: Thomas Deerinck, NCMIR / Photo Researchers, Inc.
BP2424 Sneezing woman with Swine Flu Virus superimposed. Containing a sneeze with the arm, instead of the hand, is recommended as a a more effective method of reducing the range and dispersal of airborne infection. Credit: Carolyn Bates / Photo Researchers, Inc.
Sure you want that to go "Viral?" 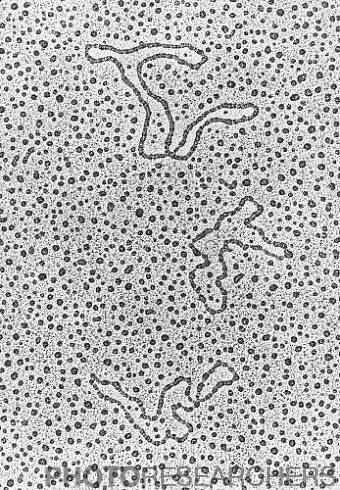 9N2671 Transmission electron micrograph (TEM) of DNA from the Lambda Virus Particle showing three small plasmids. Mag.=100,000x at 8x10 (inches). 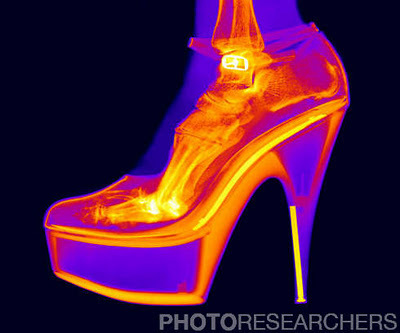 "A Scientific Look at the Dangers of High Heels"
BF2838 An X-ray of a foot in a High Heel Shoe. These high heel shoes often cause foot problems Credit: Ted Kinsman / Photo Researchers, Inc.
SJ6372 Arguing couple. 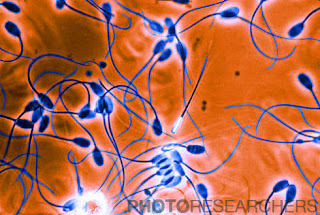 ©Ian Hooton / Photo Researchers, Inc.
BT7193 Color enhanced light micrograph of sperm. Magnification 160x @ 35MM. 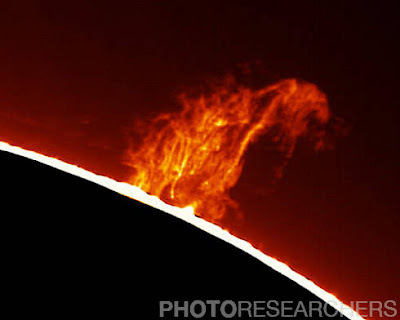 Credit: Southern Illinois University / Photo Researchers, Inc.
A colossal solar prominence spans several Earth diameters. This tenuous, hot cloud of hydrogen gas stretches from the chromosphere into the corona. Equipment data: .5A angstrom Coronado SolarMax 90 hydrogen-alpha telescope at 880mm. Lumenera Infinity 2-1 video camera. 150 individual frames captured. 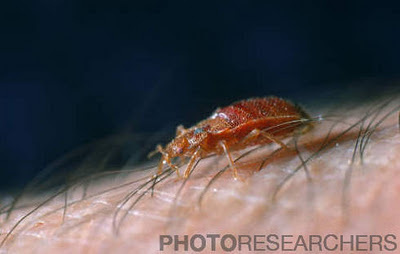 Credit: Greg Piepol / Photo Researchers, Inc.
4J7543 Bedbug (Cimex lectularius) on human skin. Credit: Stephen Dalton / Photo Researchers, Inc. Does A Digital Camera See What I See? 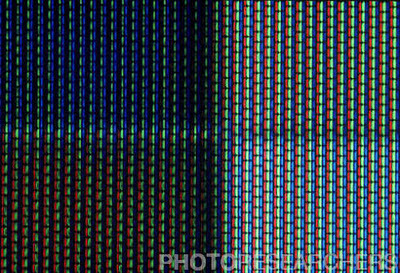 7D9368 Super close-up shot of a low resolution TV screen at MIT's Media Lab. Credit: Alexander Tsiaras / Photo Researchers, Inc. 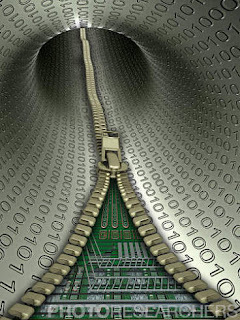 Conceptual image of a zipper reveling a mother board in a vortex of binary code. 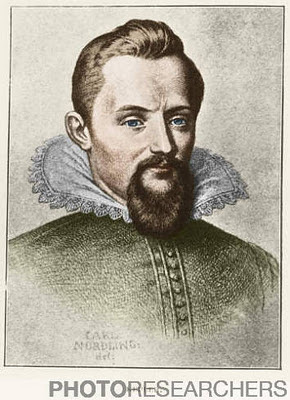 Credit: Mike Agliolo / Photo Researchers, Inc.
BK1862 Johann Kepler (1571-1630), German astronomer. Kepler formulated the three fundamental laws of planetary motion based on the detailed observations of the planets made by Tycho Brahe. The first of these laws concerned the orbits of planets, which Kepler showed to be elliptical and not circular as previous held. 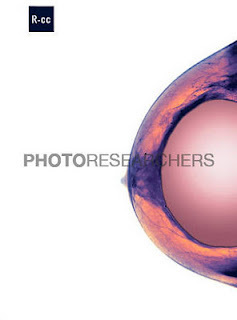 Credit: Science Source / Photo Researchers, Inc.
SK6850 Breast implant. Colored side view X-ray of a silicone implant (solid pink) inside a woman's right breast. Glandular tissue of the breast (purple) is seen surrounding the implant. Breast implants contain silicone gel and are implanted for cosmetic purposes, or for reconstruction following breast cancer surgery. The possible side-effects of breast implantation are scarring and the deposition of calcium in the tissue surrounding the implant (calcification), which can make removal difficult. Credit: Gustoimages / Photo Researchers, Inc.
Give Bird Flu to Someone you Love! Give bird flu to someone you love for Valentine's Day this year! ...or any of our other unique designs -- see the new Valentine's Day Section of our CafePress store for other cool items! More great designs to come, so check back regularly! 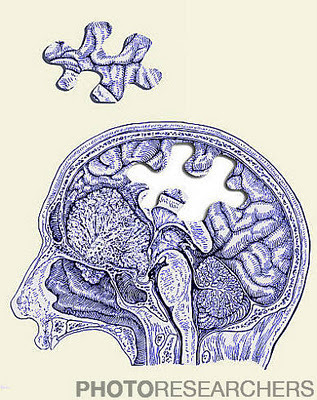 A conceptual image showing a cross-section of a head and brain with a puzzle piece missing, which could be used to illustrate brain function, brain damage, Alzheimer's disease, brain complexity, memory loss, mental health, forgetfulness, dementia, or the puzzles of neuroscience. 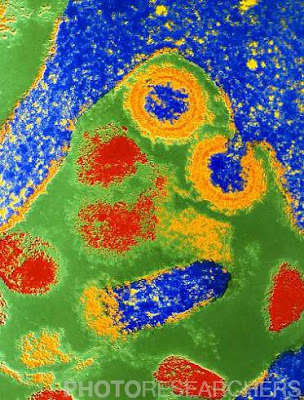 Credit: Jessica Wilson / Photo Researchers, Inc.
"Monkey vaccine hints at how to stop HIV"
SC8627 False-color transmission electron micrograph (TEM) of two virions or virus particles of the simian immunodeficiency virus (SIV). The viruses appear as small orange spheres with dark blue cores. SIV is responsible for an AIDS-like syndrome in monkeys, and is related to a second, more recently identified type of human AIDS virus, called human immunodeficiency virus type 2 (HIV-2). Magnification: x70,000 at 6x 4.5cm size. 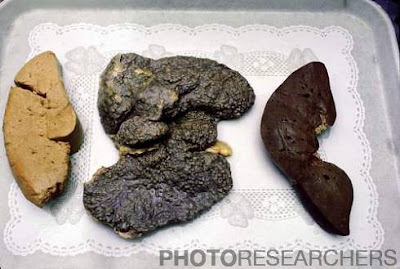 Credit: A. Barry Dowsett / Photo Researchers, Inc.
6F7189 Three livers: fatty, cirrhotic, and normal (from left to right). 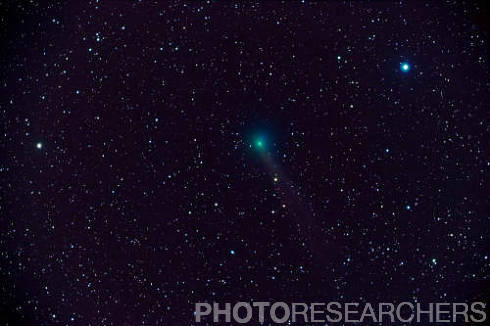 Credit: Arthur Glauberman / Photo Researchers, Inc.
BK2845 Comet Lovejoy C/2007 E2 in the constellation of Draco 16h51m23s,_56d30m34s at 06:39 U.T. Photograph taken at New Mexico Skies, RAS-Observatory.org on May 11, 2007 wih Takahashi TOA 150 Refractor & SBIG STL-11000-A3. 20 minute exposure LRGB. Credit: John Chumack / Photo Researchers, Inc.